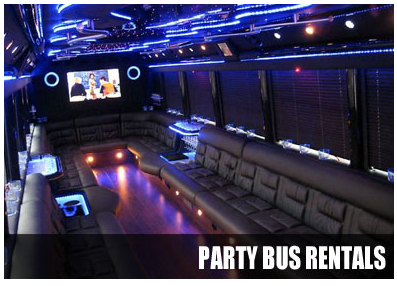 Party Bus Rental Orlando is proud to offer you our luxurious and spacious party bus services. Have the ultimate bus party! Our large fleet of Orlando Party buses can hold anywhere from 14 to 50 passengers. A1 Tampa Limo will be glad to transport your large group of passengers to anywhere in Florida. Ride in style and spacious elegance! For Luxury, Space, Comfort, and Style, comes check out our AMAZING fleet of Orlando Party Bus and Limo Bus rentals. We offer a unprecedented fleet of Luxury Party Buses in Orlando Fl for all events. Imagine a group of 40 guests rolling down Church Street, or cruising down the famous International Drive in a Crazy Orlando Party Bus, filled with 40 of your closest friends. You can take a ride to Amway Arena and Tailgate. See a concert at the arena, and party like a rock star on the way there and back. Stop in Blue Martini and all the other hot spots in Down Town. The destinations are unlimited, and your safety is covered. When youâ€™re ready to party, look no further; come to our We have been renting Party Buses in Orange County for the last 10 years. Our fleet ranges from 14 to 40 passenger capacity. We have 50 Passenger Party buses in Orlando, 40 passenger party bus in Orlando, 30 passenger party bus in Orlando, 18 passenger party bus, and 15 passenger party bus. They are all a little different but one constant remains, you can stand up and party! We load up Bachelorette Party bus rentals, and bachelor party rentals. Port Canaveral shuttle vans are not part of this, but gambling shuttle service to the Hard Rock Hotel is. If you want Party bus shuttle service to MCO, Charter Bus rentals to MCO, Mini bus rentals to MCO try our fleet of vehicles. Need a shuttle service top Port Canaveral? We do not have share ride, but you can rent a charter bus for the large groups, and for the small Orlando group transportation we have bus service for all transportation. Contact Orlando Party Bus : 813-514-6980. 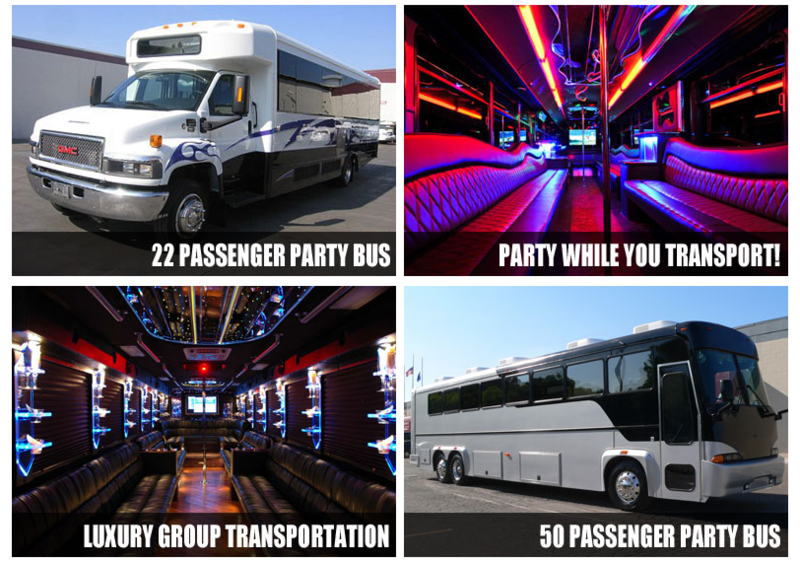 Get a custom all inclusive Orlando Party Bus quote for our services!